invasions of privacy (Granma, 2 April). 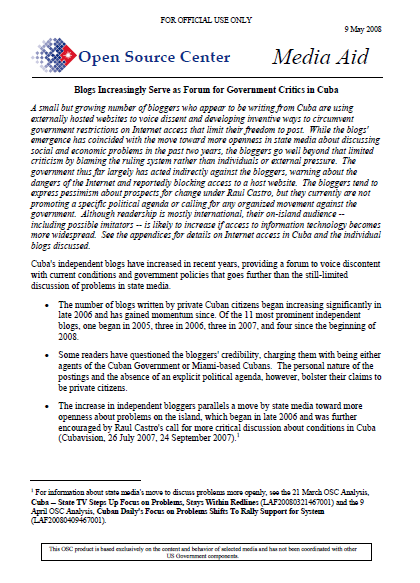 In March, several of the blogs that share the Frankfurt-based Consenso Desde Cuba host website claimed the government was obstructing on-island access. Potro Salvaje charged on 26 March that the site had been filtered to slow loading “to a maximum,” making the page impossible to view by most on-island Internet users since 20 March.